Not sure if a mobile repair shop can handle your Ipod Touch 3? At Uzoox Mobile Repair Service, we’re equipped, ready, and eager to provide you with the best Ipod touch 3 screen and LCD repair options available!Uzoox Mobile Device Repair Service is leading expert in ipod touch 3, older and recently manufactured ipods, iphones and other mobile devices. Staffed with highly experienced technicians, Uzoox makes it the highest priority to provide its clients with premium ipod touch 3 screen and LCD repair services with high quality replacement parts and exceptional service. Regardless of which generation of Apple mobile device you carry, there is always the inevitable chance that some damages will occur, more frequently than not, this typically includes significant damage to the Ipod screen and LCD feature. Uzoox’s service begins with a FREE diagnostic. Our expert service technicians run your Ipod Touch 3 through a rigorous inspection in order to detect any of potential damages and malware. We then lay out an agenda for the repair process and the results our clients should expect from Uzoox’s Ipod Touch 3 screen and LCD repair strategies. The Uzoox mobile repair service technicians are highly-trained at repairing the Ipod Touch 3 screen and LCD and other Apple mobile devices to full restoration and functionality. Uzoox is committed to using high quality replacement parts to ensure that your ipod will work efficiently once long-lasting repairs have been made. We stress that our friendly and professional staff provide the best care and expertise available so that your Iphone repairs meet your needs and satisfaction. 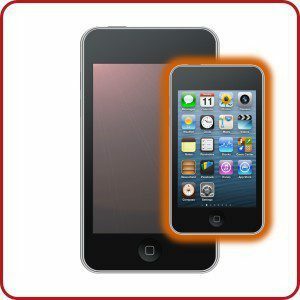 Uzoox mobile device repair service has several locations throughout the Indianapolis and Greater Indianapolis are where clients can have their Ipod Touch 3 screen and LCD repair serviced. Uzoox mobile device repair is committed to providing its customers with high quality Ipod Touch 3 screen and LCD repair service, using only high grade replacement parts, expert technology, at a sensible price. Our goal is that our clients will be impressed with our superior quality products, high efficiency repair services, and our long-lasting solutions. 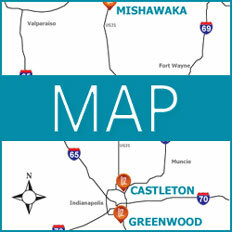 Uzoox mobile device repair service is proud to a leader in the tech product repair industry in the Indianapolis and Greater Indianapolis region. Our products come with a lifetime warranty that covers both the product and the labor involved.